Leon’s Mexican Restaurant at 507 30 Rd. at I-70 Business Loop was robbed and vandalized sometime between closing last Wednesday night, 12/19, and Thursday morning, 12/20. The criminals broke into the restaurant, took money from the cash register, drank some of the restaurant’s vodka and other hard liquor, stole beer and vandalized the restaurant by cutting hoses on their soft drink machine and cutting the wires to the video surveillance cameras and stealing the cameras. Leon’s employees discovered the damage and theft when they arrived at work Thursday morning. 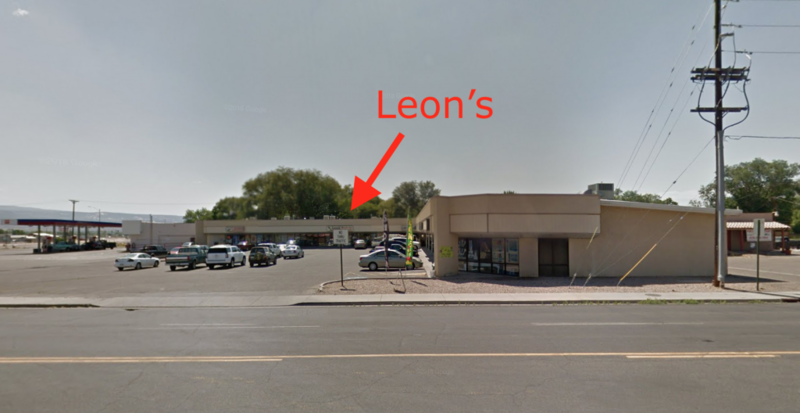 Leon’s is an unpretentious, single-location Mexican restaurant owned and operated by a hard-working local family that has been serving the community consistently great food for years. They have been at their location for many years and are known for their signature dish, their famous Creamy Chicken Enchiladas. Leon’s started as a little seven-table restaurant almost eighteen years ago. Most of their staff has been with the restaurant for many years and the family considers many of their customers friends. If you know anything about the vandalism and theft from Leon’s, please call the Mesa County Sheriff’s Department right away at 970-244-3500. Thanks for posting this story. I’ve frequented Leons for many years & am so so sorry that this has happened . Was Track Palin in town? Heartbreaking that anyone would do this to them! I will share the info.